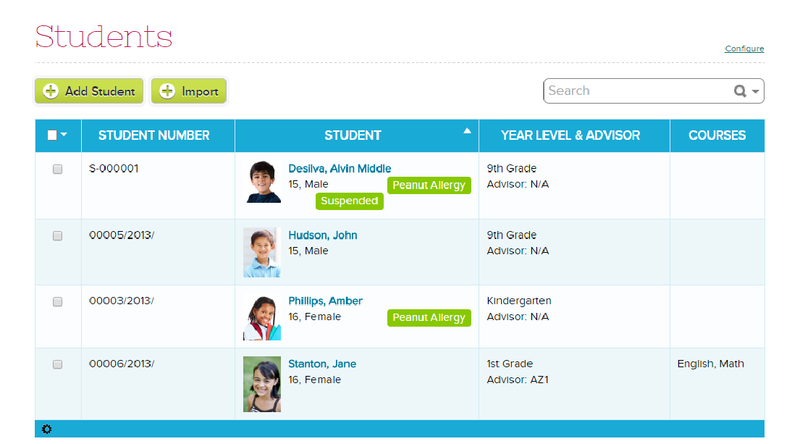 This is particularly useful to inform users about important information regarding the student, like Peanut Allergies, Suspensions and so on. 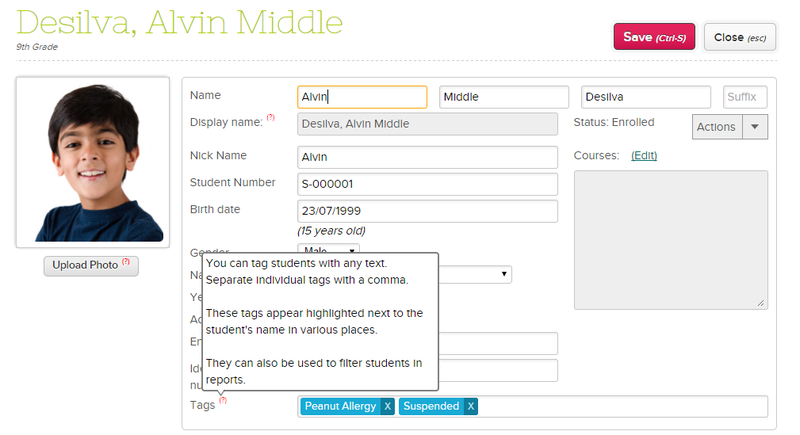 Once the Tagging feature is enabled, you can set tags for the student under the Student record. We are looking for comments on how to further improve this feature. Please feel free to request our support team for access, and let us know what you think. It would be great if we could create drop down menus of “tag” choices and even color code them.